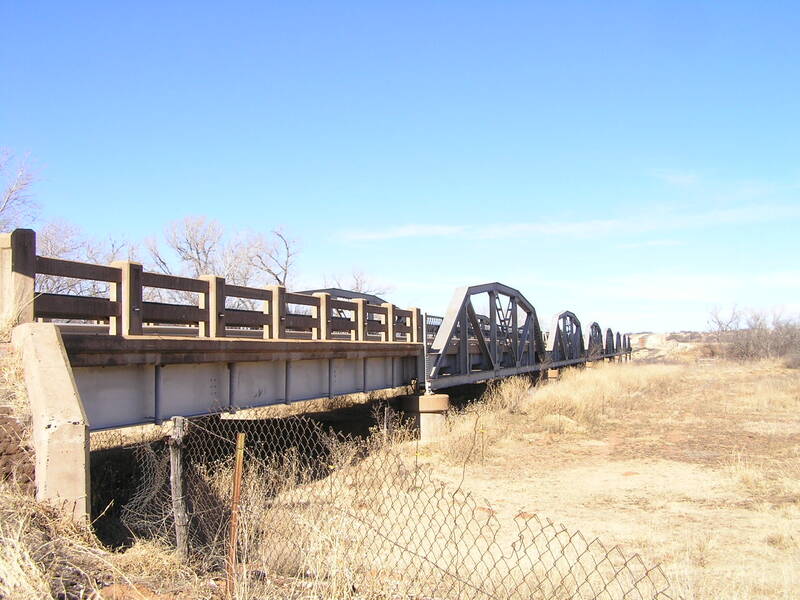 Built in 1932 by the Boardman Co. of Oklahoma City, Okla., this bridge demonstrates that even some of the small local bridge companies could undertake large projects. (here is an example of one of their earlier, smaller projects). 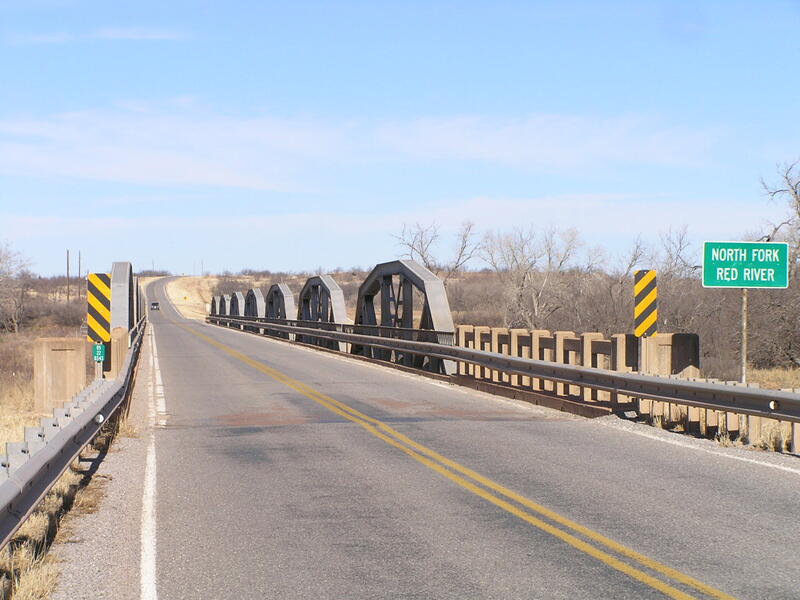 The bridge is 832 feet long, and consists of 7 standard-design 100-foot long Parker pony spans and two steel stringer approach spans. 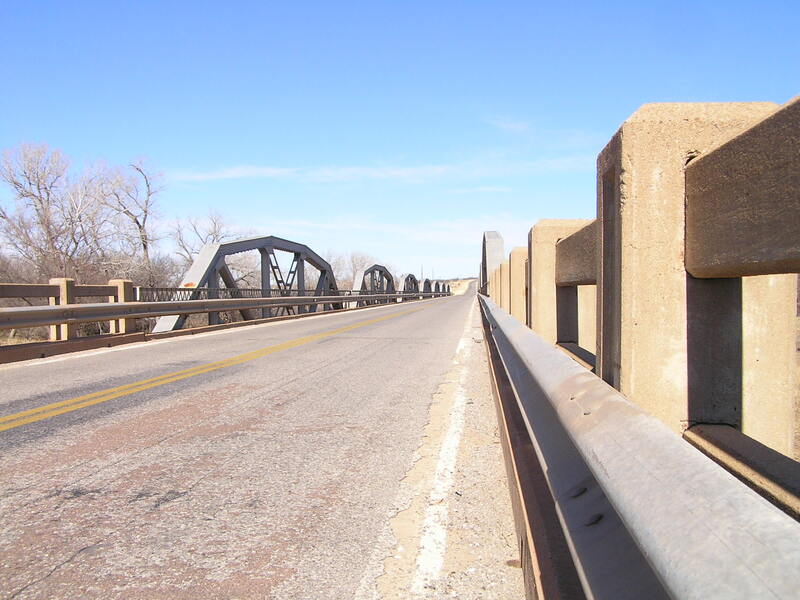 The bridge features lattice railings on the truss spans and the classic Oklahoma concrete 'fence' style concrete guards on the approaches. Above, looking through the bridge. 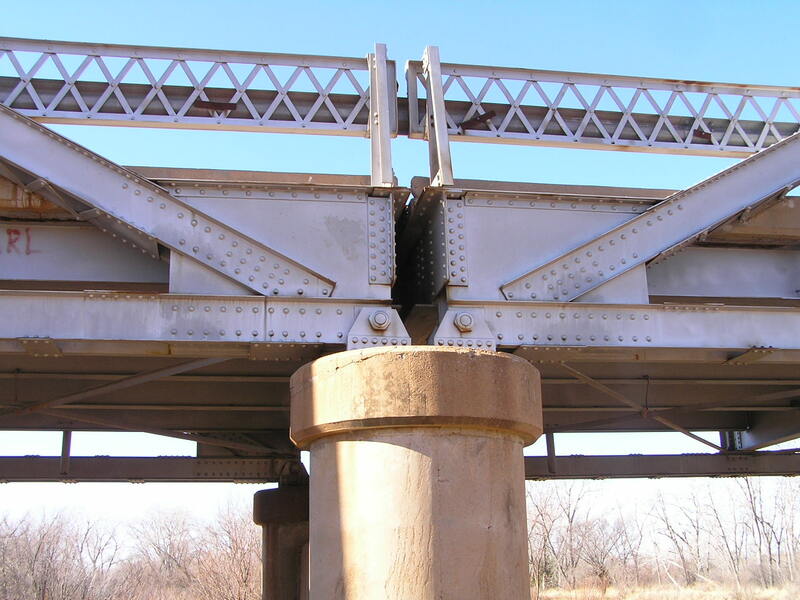 Below, a side view of one of the end truss spans. 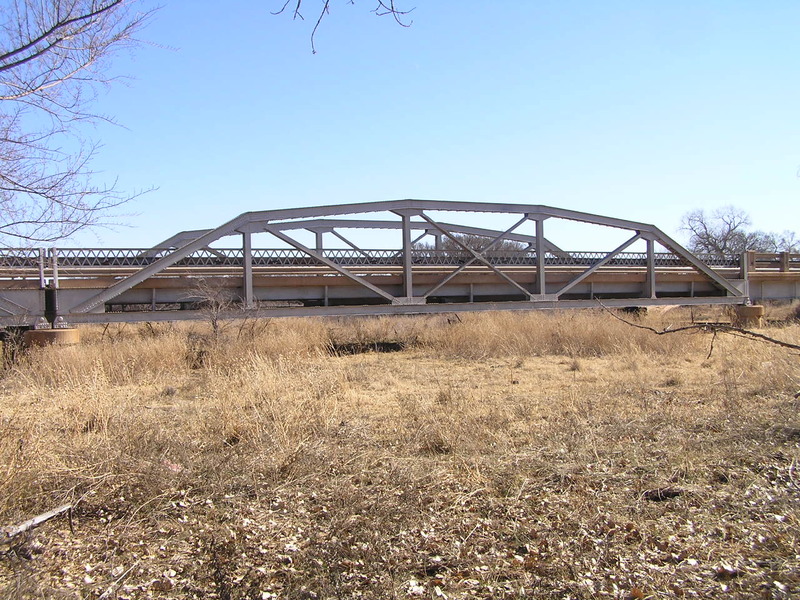 All trusses in this bridge are 100-foot long. 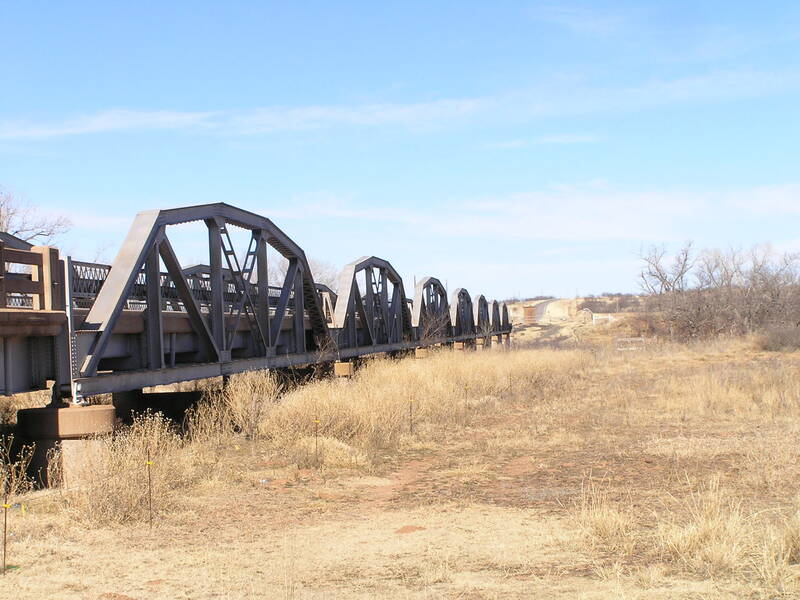 Above, the spans at the actual river crossing. 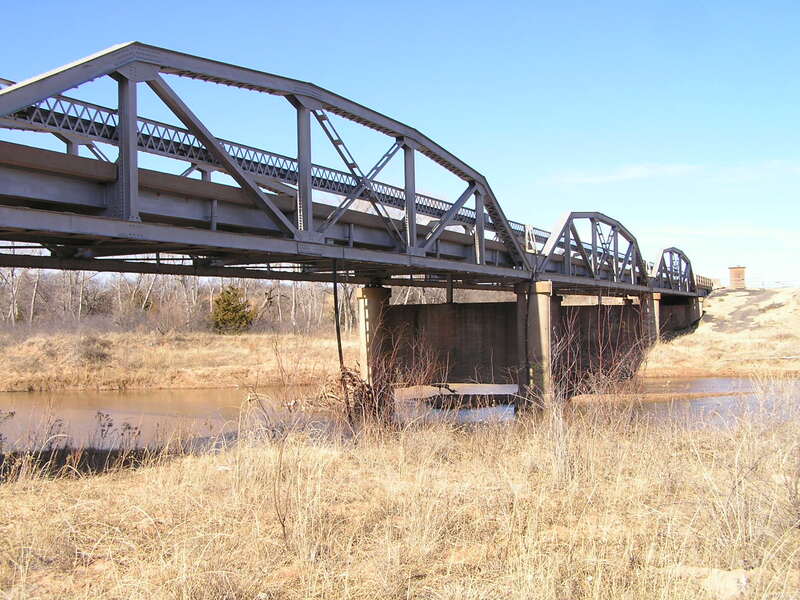 Below, a typical meeting of truss spans on a pier. 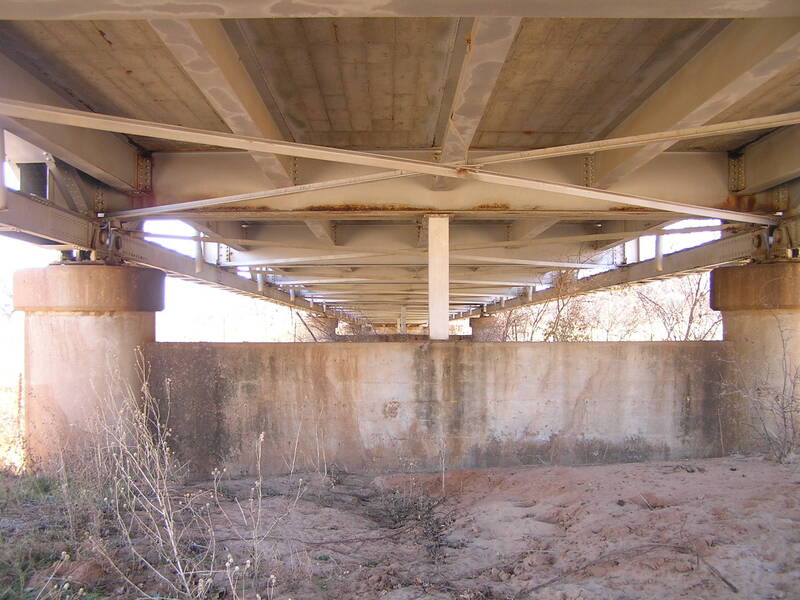 Above, a meeting of a truss span with a steel stringer span.. Below, a view under the bridge. Above, a view along side. 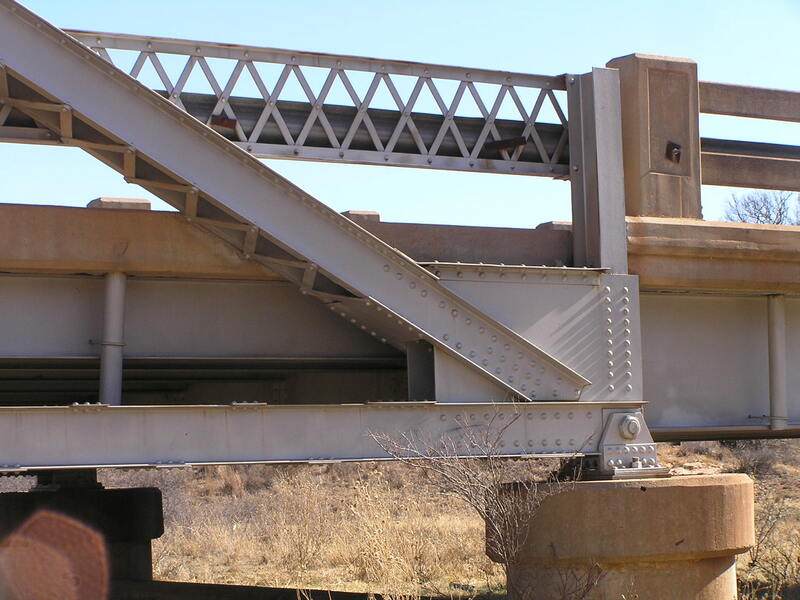 It is remarkable what good shape both the concrete and steel are in for a bridge of this vintage.